Heather & Little is pleased to bring you some of the industry’s finest metal clad windows and doors (also referred to as kalamein windows and doors). 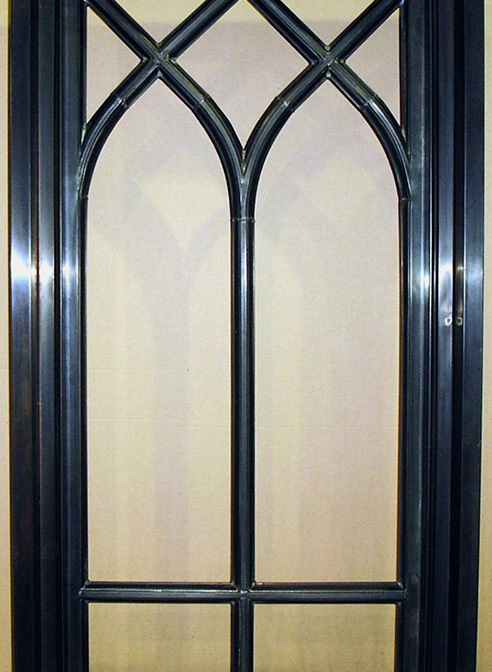 Our team specializes in producing beautiful metal clad historical windows and doors, as well as metal-covered wood trim. 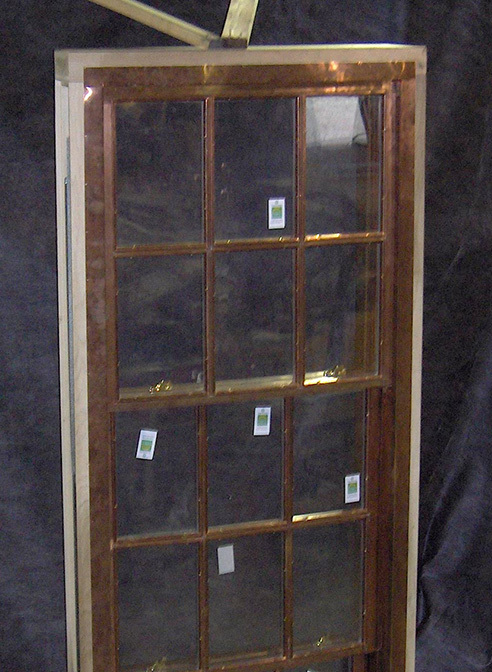 We can use all types of historic metals to create your ideal custom metal clad windows, including bronze, copper, zinc, galvanized steel and stainless steel. 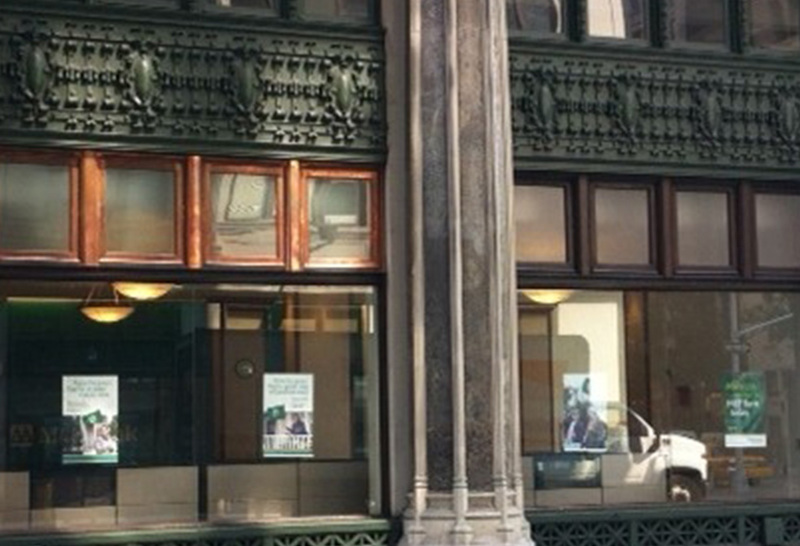 You’ll see Heather & Little’s work on commercial storefronts, building facades and entryways of all types. 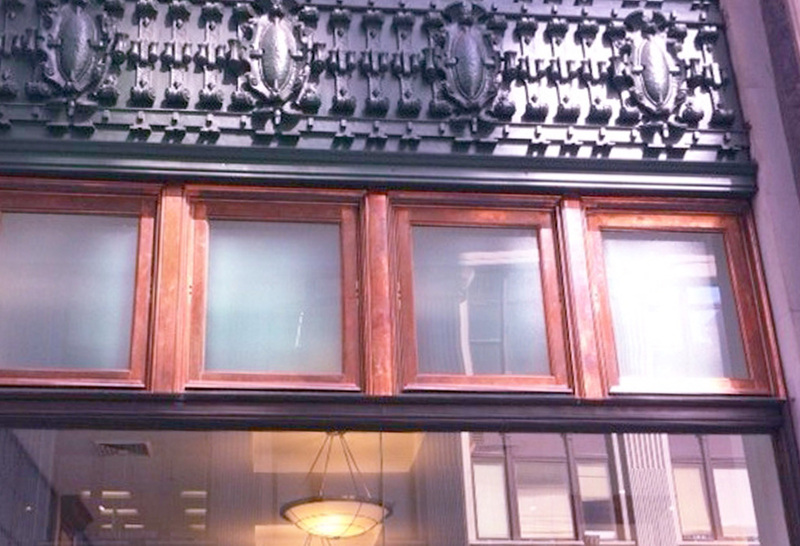 Whether your kalamein restoration involves exterior doorways, hollow metal-clad windows, transom, double hung windows or another style of window or door, we can restore or replicate the unique features of your historic property. 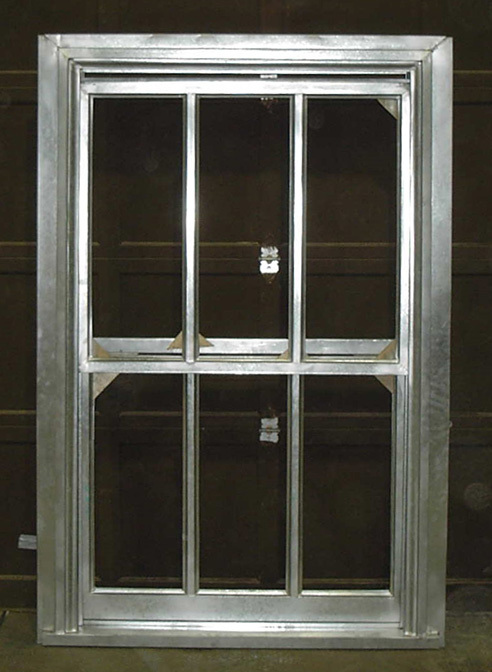 The Heather & Little team is well-versed in all areas of metal clad historical window and door fabrication. With more than 90 years of experience in working with architectural sheet metal features, you can count on our artisans to create the highest quality kalamein windows. We’re committed to your complete satisfaction in all respects, and will work closely alongside your contractor, designer or architect to ensure that your metal clad windows and doors are the perfect fit and style for your project. Our craftsmen can reproduce your custom historical windows to match the existing doors and windows of a building, or can work from original drawings or photographs to achieve the ideal result. Heather & Little uses a combination of traditional and modern techniques to create metal clad doors and windows that will blend effortlessly with the existing appearance of your building. To learn more about our work on kalamein windows and doors, reach out to a member of our team today. Take a look at our completed projects below, or give Heather & Little a call to discuss how we can become part of your historical windows and doors restoration project. 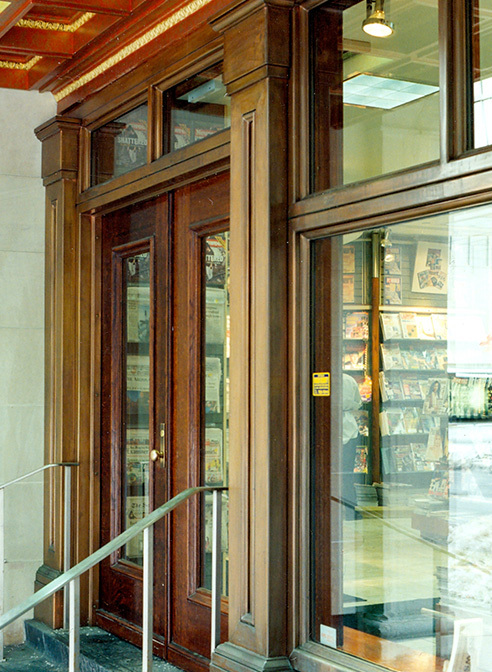 The main conference room has a grand entrance like no other; it features kalamein doors made of 20-ounce sheet copper. Our artisans crafted custom-sized doors with a handmade patina finish. 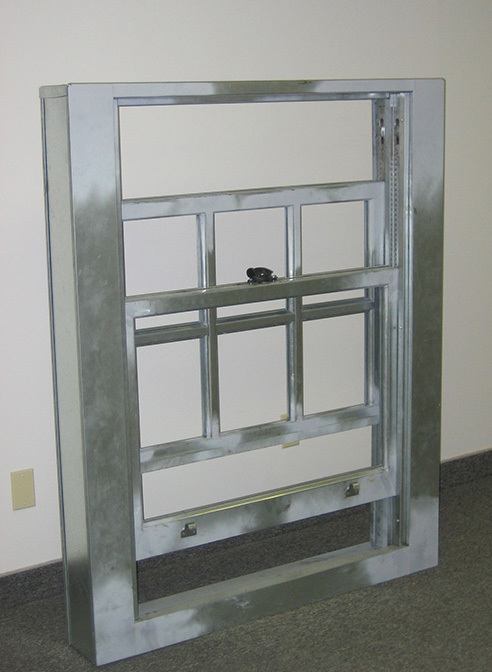 As with many projects, we were approached to be part of the design, not just fabrication process. This was a challenging project for our team, as the only reference we had to the original doors was a vague, one sheet historical drawing with very little detail. 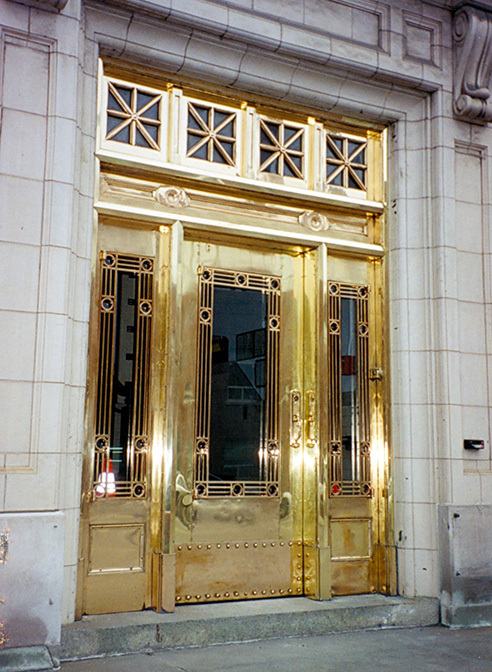 The eight bronze doors with transoms use architectural bronze material called Muntz metal. 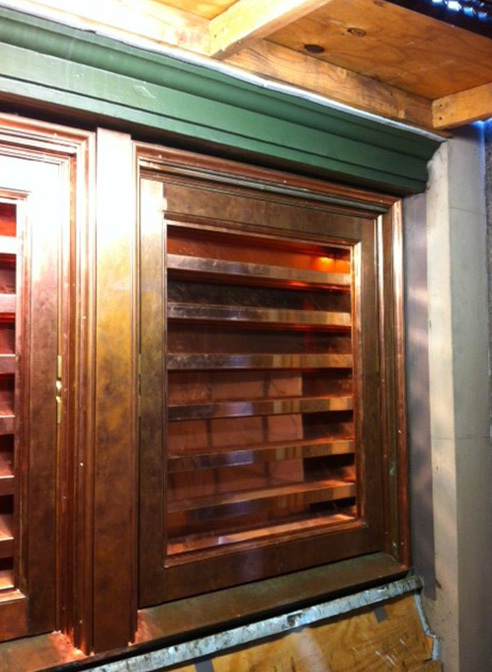 Our craftsmen created more than 70 new kalamein windows featuring a wood core clad in 16-ounce sheet copper. 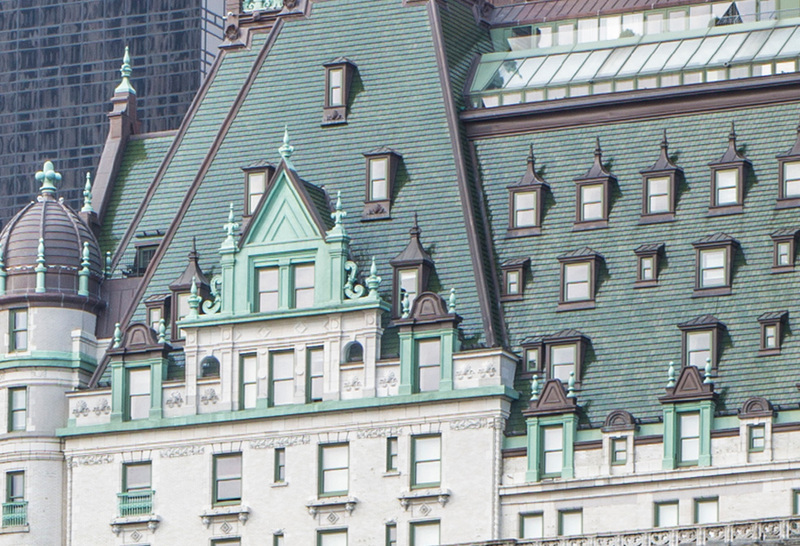 The cornice detail includes intricate stampings adorning the window frames.